Urban Outfitters, Inc. (NASDAQ: URBN) shares rose 19.5 percent to $20.10 in pre-market trading after the company reported stronger-than-expected results for its second quarter. RADA Electronic Ind. Ltd. (NASDAQ: RADA) shares rose 12.2 percent to $2.49 in pre-market trading after the company disclosed that it has received first breakthrough and strategic $8 million order for the US Military. Nevsun Resources (USA) (NYSE: NSU) rose 8 percent to $2.30 in pre-market trading after climbing 3.90 percent on Tuesday. BMO Capital downgraded Nevsun Resources from Outperform to Market Perform. Pointer Telocation Ltd (NASDAQ: PNTR) rose 8 percent to $12.95 in pre-market trading. Pointer Telocation posted Q2 non-GAAP net income from continuing operations of $2.6 million, up from $1.5 million in the year-ago quarter. Golden Ocean Group Ltd (NASDAQ: GOGL) shares rose 5.7 percent to $8.74 in pre-market trading after slipping 0.24 percent on Tuesday. 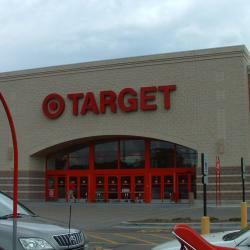 Target Corporation (NYSE: TGT) rose 5.4 percent to $57.30 in pre-market trading after the company reported better-than-expected earnings for its second quarter and issued a strong forecast for the full year. Petroleo Brasileiro SA Petrobras (ADR) (NYSE: PBR) shares rose 4.5 percent to $8.98 in pre-market trading after gaining 1.42 percent on Tuesday. Helios and Matheson Analytics Inc (NASDAQ: HMNY) gained 4.4 percent to $3.08 after climbing 5.73 percent on Tuesday. Agilent Technologies Inc (NYSE: A) rose 4.1 percent to $61.80 in pre-market trading after the company reported better-than-expected results for its third quarter and issued a strong forecast for its full year. Exelixis, Inc. (NASDAQ: EXEL) rose 3.5 percent to $27.85 in pre-market trading after the company disclosed that it has submitted U.S. supplemental New Drug Application to the FDA for CABOMETYX. US Concrete Inc (NASDAQ: USCR) shares rose 3.4 percent to $78.95 in pre-market trading after declining 0.13 percent on Tuesday. Crossroads Systems Inc (NASDAQ: CRDS) shares fell 11.3 percent to $2.44 in pre-market trading after surging 26.15 percent on Tuesday. Foresight Autonomous Holdings Ltd. (NASDAQ: FRSX) fell 9 percent to $5.90 in pre-market trading after gaining 1.89 percent on Tuesday. Hecla Mining Company (NYSE: HL) shares fell 5.9 percent to $4.45 in pre-market trading after declining 2.87 percent on Tuesday. Viavi Solutions Inc (NASDAQ: VIAV) fell 5.8 percent to $10.01 in pre-market trading after the company posted better-than-expected quarterly results and issued a strong forecast for the full year. 22nd Century Group Inc (NASDAQ: XXII) fell 5.5 percent to $2.06 after rising 1.87 percent on Tuesday. Neff Corp (NYSE: NEFF) fell 5.4 percent to $24.75 in pre-market trading after rising 0.58 percent on Tuesday. 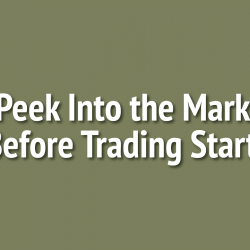 Intec Pharma Ltd (NASDAQ: NTEC) shares fell 5.2 percent to $4.60 in pre-market trading. Intec reported an offering of common shares. Conn's Inc (NASDAQ: CONN) fell 4 percent to $19.55 in pre-market trading after dropping 2.16 percent on Tuesday. Cancer Genetics Inc (NASDAQ: CGIX) shares fell 3.3 percent to $3.00 in pre-market trading after declining 20.51 percent on Tuesday.